The best Mediterranean cruises for 2017, which include many Greek landscapes, including Samaria Gorge, reveals a report in the British newspaper Daily Mail. -Archaia Miracles | Cruise Thomson Iconic Islands | Ionian and Aegean Sea are excellent conditions for cruise, the newspaper said, and one can begin to Greece from Corfu, with its Renaissance palaces. Then head to Santorini with white churches on the slopes of the cliffs. Next stop Kefalonia Argostoli for exploring monasteries and beaches like Myrtos and return to Corfu. Recommended visit to the Samaria Gorge on Crete. -Goiteftikes Cyclades | cruise Jewels Of The Cyclades of Variety Cruises | Departure from Athens to Poros and small island Polyaigos, famous for its beaches. Next stop Folegandros, in the town of up to high cliffs. Then Santorini, Paros and Antiparos rich archaeological finds and Venetian buildings. Entertainment in Mykonos and then visit the sacred island of Delos, while the cruise ends with Syros and Kythnos, two of the quietest Cyclades. H cruise will be the Motor Sailer Galileo, which has only 25 cabins. Recommended visit to the archaeological site at Akrotiri, Santorini, the “Greek Pompeii”. -Krouaziera Time | Travel «Northern Cyclades» with tall sailing ship Star Flyer of Star Clippers, which reminds us of another era cruise. Departure from Athens towards the Turkish coast and Ephesus. Patmos to continue, “a virgin Greek island” with the Cave of the Apocalypse, where Saint John reportedly wrote the Apocalypse. After Amorgos ‘favorite Cyclades “, Mykonos, Monemvasia, a town in the Peloponnese” full of Byzantine churches’ and return to Athens. Tip: Visit the monastery of Panagia Chozoviotissa Amorgos, it offers stunning views of the Mediterranean. Then Constantinople, Chios, “the homeland of Homer” Rodos.Idaniki cruise for families. Recommended visit Meteora from the port of Volos. -Little And beautiful | Smaller ships have an atmosphere of luxury and suit those who prefer the approach of the journey on a small scale. The SeaDream describes her travels as “yachting, not cruising” offers routes in less known Greek islands (Hydra, Sifnos Spetses Paros), while down approaches and Mykonos, Patmos and Ephesus. 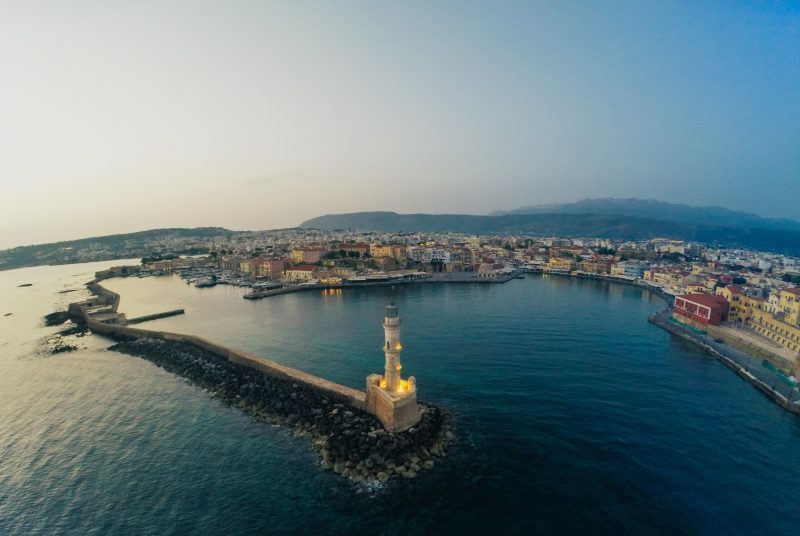 -The Spirit of luxury | H Silversea has a connection with the stylish Silver Spirit ship begins and ends in Athens, with approaches in Monemvasia, Agios Nikolaos, Crete, Marmaris, Turkey. After Ephesus, the journey continues in Mykonos, Mytilini and then return to Athens. The capital of Lesvos is very photogenic, while the little Venice in Mykonos is the heritage of the island from the Venetian occupation. -A Month at sea | For those seeking a real getaway, nothing is better than a great cruise in the Mediterranean. The Saga offers a journey four weeks from Southampton, for those who detest the ptiseis.I first week is almost entirely dedicated to the trip, with stops in Malaga and Malta and then in Athens. Then there approaches almost in the Aegean (Mykonos, Santorini, Rhodes) and in Cyprus, Antalya and Istanbul. On the return journey is via Cartagena, Spain and Lisbon. -Peripeteia Aegean | Idyllic Aegean cruise of Celestyal Cruises | The specialist in Turkey and Greece Celestyal Cruises offers the best of the Sea plus a few surprises. You can see the classical treasures of Ephesus, the Mykonos bar and volcanic splendor of Santorini. But will visit other islands like Kalymnos, Samos, Syros and Milos.